A few years ago, my mother-in-law gave me a tip for cooking bacon that has literally changed my kitchen life. I passed this tip along to family and friends who have, in turn, told me it has changed their lives as well. You may know this or already practice this wonderfully kept secret. 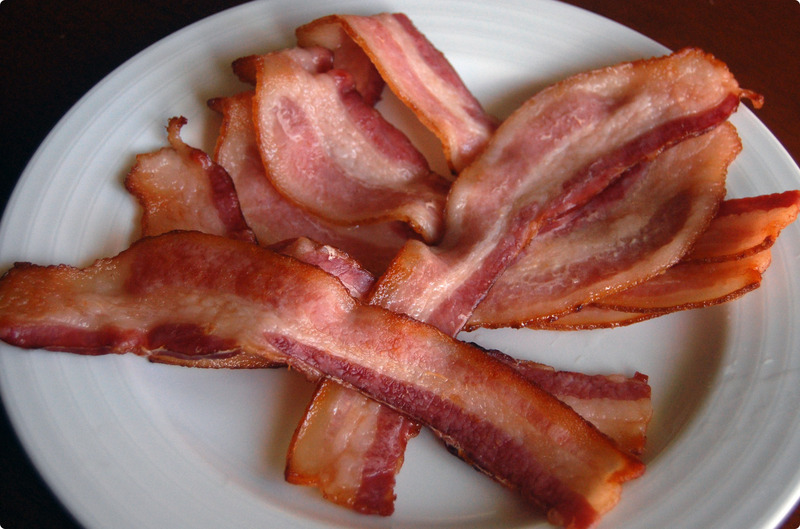 If so, feel free to drool over the photos of bacon and move on. If not, pay close attention. Bacon will never be the same. In the past, I would heat up the old skillet and toss raw bacon into the pan. On most occasions, I would either burn myself on the hot grease, get impatient and end up with soggy bacon and/or spend fifteen minutes scrubbing my stove top and countertop down. Not anymore. Line a rimmed baking sheet with aluminum foil. Place 6-8 pieces of thick sliced bacon on the baking sheet. 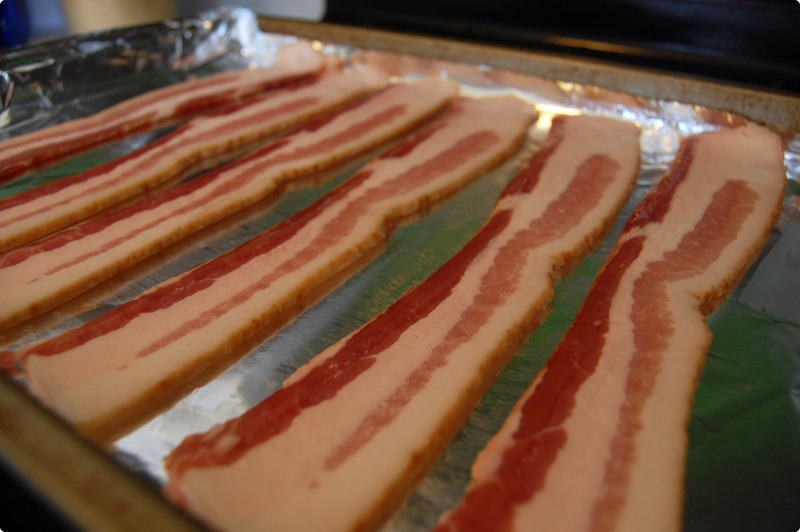 Set your oven to 400 degrees and place the bacon in the oven while it is preheating. Cook for 14-16 minutes. 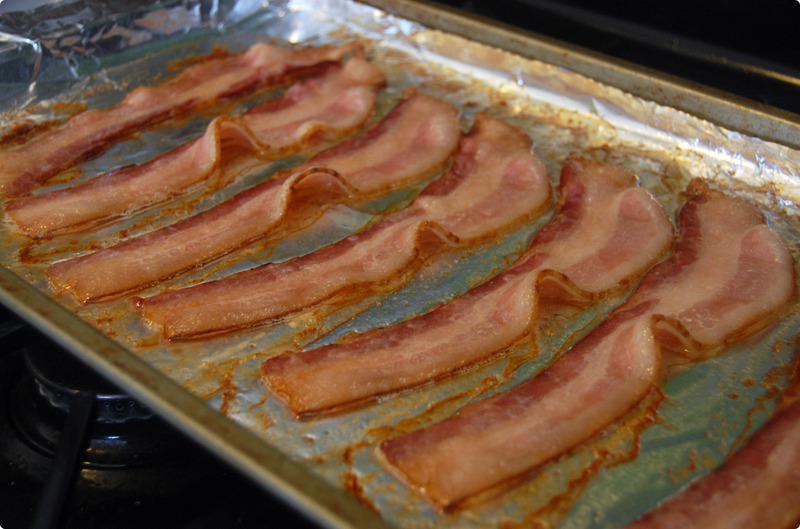 Remove from oven and place bacon on a paper towel to remove excess grease. The bacon will cook as the oven preheats. The grease stays right on the foil which can just be balled up and thrown away. The bacon turns out perfectly crispy, heated evenly throughout. Since you don’t have to wait for the oven to preheat, the bacon will be done before you know it!